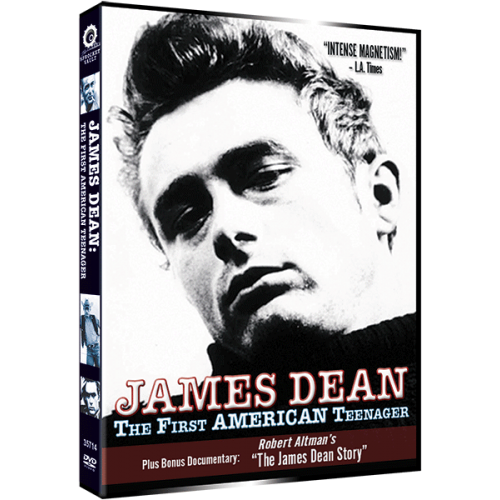 This is a compilation documentary about James Dean and his effect upon succeeding generations of young people over the past twenty years. It is aimed at relating the social significance of James Dean, whilst at the same time giving as thorough an account as is possible of his life. There is no nostalgia here since Dean is as much a hero today as he was in the late 1950’s. The film has exclusive rights to sections of Dean’s three films for Warner Bros.: East of Eden, Rebel Without a Cause and Giant; in addition, it contains the first screen test he did for Elia Kazan and other rare film footage, and literally hundreds of still photographs. 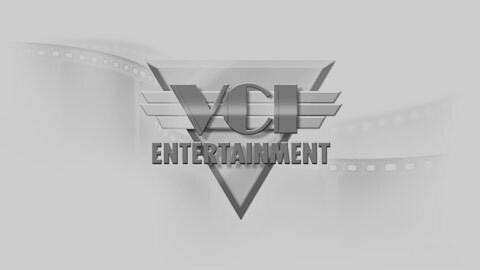 It also contains interviews with many actors and friends including Caroll Baker, Natalie Wood, Sal Mineo, Dennis Hopper, director Nicholas Ray, Sammy Davis Jr. amongst others. In keeping in view of Dean as a contemporary cultural symbol, the music for the film draws upon material by Elton John, David Bowie, Lou Reed, Mike Oldfield, Neil Sedaka, Bad Company, Bachman Turner Overdrive and The Eagles. 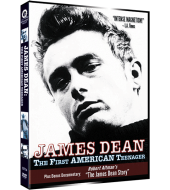 BONUS MOVIE: Robert Altman’s THE JAMES DEAN STORY – A portrait of the iconic star through the use of still photographs, interviews, including several relatives, and film clips. Narrated by Martin Gable and Directed by Robert Altman and George W. George. Robert Altman George W. George.